Toilet leaks can be caused by many different toilet malfunctions. A broken water supply line, a damaged wax ring below the bowl, or a ballcock tube that has slipped out of place can all cause leaks that are relatively easy to fix without having to call a plumber. Proper plumbing tools and some basic do-it-yourself repair skills will both help in completing the repair. 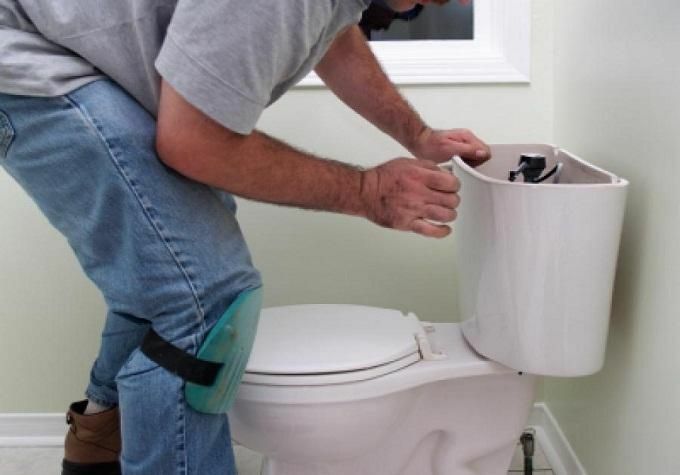 The steps below outline how to repair a leaking toilet for different scenarios. A broken water supply line can cause water to spurt from the line connecting the toilet to the main water valve. The first step to repair this leak is to shut off the water supply valve. This will stop the flow of water to the toilet. Next, flush the toilet to remove the water from the bowl and hold down the handle until it is completely empty. Unscrew the water supply line at the base of the tank first. Be sure to place a bowl and rags beneath the area to collect any drips of water. Using a wrench, unscrew the tube from the water supply valve. Screw the new flex hose on the toilet tank being careful not to over tighten. Slowly turn the water supply back on while checking for leaks as the water begins to flow. The wax ring is what the toilet base sits on. With time it can erode and cause leaks. Although many homeowners prefer to call a plumber for this type of repair, it can be done without one. Begin by shutting off the water supply and emptying the tank and bowl. The water supply tube should be disconnected from the top connection at the toilet tank. Unscrew the toilet from the floor and carefully set it aside. With a putty knife, carefully scrape the remaining parts of the wax ring from the area. Clean the spot so that the new wax ring will be level. Place a new wax ring on the opening and replace the toilet. Bolt it back onto the floor, reconnect the water supply tube and watch for leaks as the water is turned back on. The repair of a ballcock tube is the simplest repair of all toilet leaks. There is a small black tube that is in the tank of the toilet that connects to the flush valve fill tube. If the tube slips from the little clasp that holds it in place, it can begin spraying water in the tank and out from under the tank cover. To fix this toilet leak, simple re-attach the black tube to the clip. It really is that simple. Toilet leaks can be scary and can quickly cause a lot of damage. Trust instincts and give the repairs a shot if possible. The supplies and tools needed can typically be purchased at local plumbing and home improvement stores. If there is any question about what is causing the leak or a feeling of unease about repairing the problem, it is best to call a licensed, professional plumber. If you are looking for an Homefix handyman there are people ready to take your calls 0115 822 4995 or email us info@homefixhandyman.com. For more information visit http://www.homefixhandyman.com/.